Be a light in Israeli homes so Israel will be a light to the nations. Yeshua Israel exists to passionately serve, equip, and empower individuals and families in Israel to reach their God-given purpose. Israel’s current cultural and spiritual state is in no condition to embrace Yeshua (Jesus) as its Messiah. Israelis need to be exposed to facts about the life of Yeshua – His love for His chosen people, His permanent sacrifice, and the fate of mankind left to account for their sin. 1. Creating culturally relevant music and videos that communicate to Israelis about God and educate the international community about Israel. 2. Strengthening the Israeli believing community through mentoring individuals and families. 3. Improving the economic status of believers in Israel through charity and small business empowerment. Help us spread the Gospel in Israel, raise up leaders, and invest into the lives of those with needs! 100% of your gift goes directly to Yeshua Israel. Yeshua Israel focuses on making music as well as encouraging excellence in the workforce, while continuously strengthening families. They believe reaching people in a culturally relevant way is just as important as speaking to them in the language they understand. Since music and family are two dominant aspects of Israeli life, Yeshua Israel considers communicating the Bible and relationship with God within that context to be ideal. In the area of music, the objective of the ministry is to build a community of musicians who are dedicated to making the praises of God commonplace in Israel and create a space for musicians to be trained musically and spiritually. Additionally, seeing the use of visual arts as a powerful tool to communicate, they produce bite-size informational and entertaining videos (“edutainment”) to reach and educate their audience. In the area of family life, through strategic discipleship of families and individuals Yeshua Israel longs to see Israeli believers reach financial security. Kobi and Shani are Israeli believers in Yeshua (Jesus). Kobi was born in the U.S. and immigrated to Israel in 1999. Shani was born and raised in Israel. Together, they have ministered to Jews and Arabs in Israel for nearly 20 years. 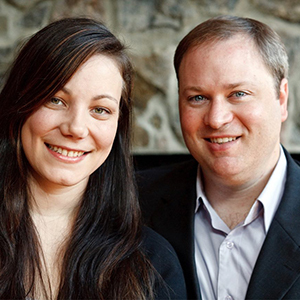 Kobi and Shani founded Yeshua Israel Ministries, to fulfill the mandate to make followers of Yeshua and to develop a family-disciple-making movement and worship revolution in the land to impact all spheres of culture and society.